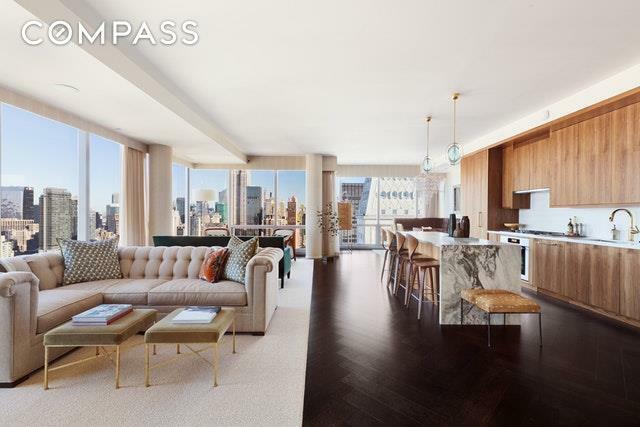 Rising high above Madison Square Park with iconic New York City views of both sunrises and sunsets, this three bedroom, three and a half bath, full-floor residence offers stunning 360 degree views. 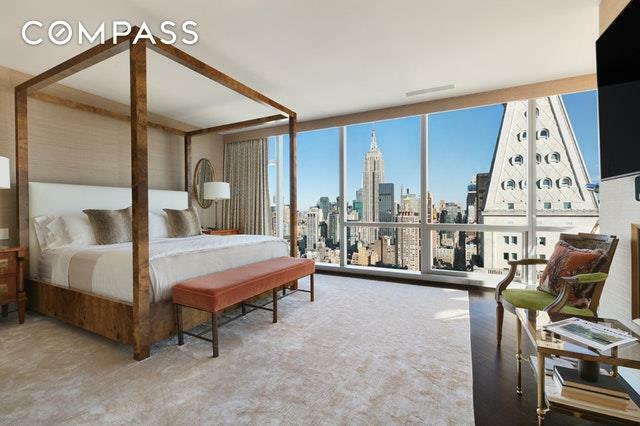 The apartment is comprised of 3,310 square feet and is located in the Cetra-Ruddy designed One Madison, a 60-story luxury condominium situated at the nexus of the citys most charismatic and vibrant neighborhoods - Flatiron, Gramercy and NoMad.Arriving at the 52nd floor, the keyed elevator welcomes you to a private gallery featuring a 182 bottle wine cellar. 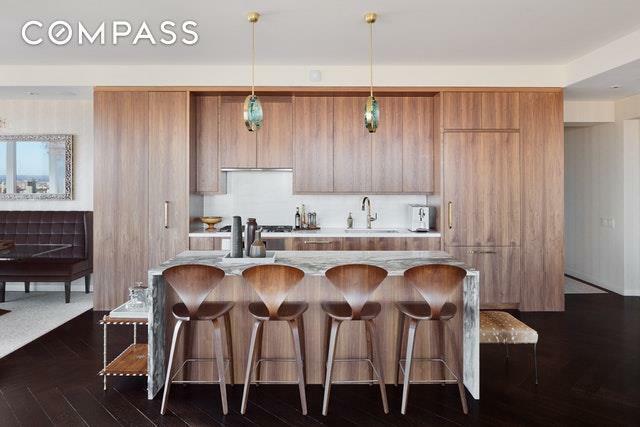 The expansive corner great room provides breathtaking views of Madison Square Park, the Empire State Building, the Met Life Clock Tower and beyond.The residence features 11-foot ceilings and quarter-sawn plank floors. 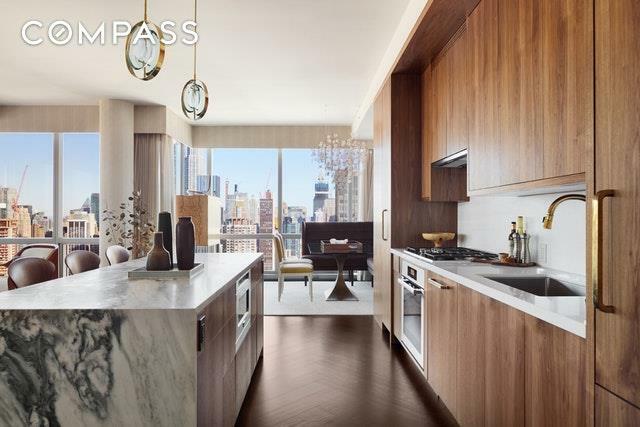 The open plan kitchen offers custom Sapele wood cabinetry, marble countertops, and a complete suite of stainless steel Miele and Viking appliances.The large master bedroom has northern and eastern exposures and includes a double sided fireplace and separate seating area. The luxurious master bath boasts a custom designed marble clad double vanity and glass enclosed shower stall while the floor and walls are clad with honed finished Italian travertine. Both secondary bedrooms have double exposures. The home is equipped with a washer/dryer and home automation system that includes controls for shades, drapes, climate and music.One Madison offers unparalleled services and extensive amenities that include a full-time doorman and concierge, great room with dining room and lounge, parlor room, screening room, a staffed catering kitchen, state-of-the-art fitness center, yoga room, 50 foot heated indoor swimming pool, and a spa with a glass enclosed steam room overlooking Madison Square Park.